If your dog would like to go to France to see experience the real Eiffel Tower you may be surprised to know that it's a lot easier than you might think! Travelling with dogs from the UK to France is not difficult in our experience but it does require a little forward planning and organisation. Our bible for the legal requirements on travelling with dogs is the guidance issued by the UK government – essential reading! www.gov.uk/take-pet-abroad/overview. The Pet Passport (www.gov.uk/take-pet-abroad/pet-passport) is key – it allows dogs to travel to EU and other listed countries without having to endure a six month quarantine period on their return to the UK. Theo with his Pet Passport all ready to travel! Your vet can issue your dog with a Pet Passport and advise you on the requirements for travel, and advise on any health issues with respect to your dog and the countries that you are travelling through / to. The main requirements for a Pet Passport is that your dog is microchipped and has a current Rabies vaccination – that’s it. A dog then has to wait 21 days from the date of the Rabies vaccination before he/she can enter another EU or other listed country. If your dog is being vaccinated against Rabies for the first time, make sure you do all of this at least 3 weeks before you are planning to travel. There are various requirements that need to be met for travel in and out of the UK (see full details here: www.gov.uk/take-pet-abroad/travel-within-the-eu), and one of the key requirements for return to the UK is that a dog has to have a Tapeworm treatment, administered by an official vet and recorded in the Pet Passport, between 24 hours and 120 hours (1 – 5 days) before entry into the UK. Full details of the Tapeworm treatment requirements are here: www.gov.uk/take-pet-abroad/tapeworm-treatment-dogs. We always search for a local vet before we travel and make an appointment for them to see our dogs to administer the Tapeworm treatment within the required time frame for our return, and our personal preference is for the dogs to have the treatment usually 2-3 days before we plan to return in case of upset tummies as a result of the tablet, or delays on our return journey. On short trips abroad, such as weekends away, it’s possible to have the Tapeworm treatment administered by your home vet in the UK before travelling out as long as the timing of the treatment still fits with the requirement that the wormer is given between 1 – 5 days before re-entry into the UK. For Theo’s mad trip to Venice our home vet gave him a wormer on Thursday, we travelled to Paris on Friday and then returned to the UK on Monday without needing to see a vet overseas. The cost of having the Tapeworm treatment varies greatly. Our own UK vet charges us just for the price of the tablet (GBP £2.40). Returning from Méribel in March the vet in Moûtiers charged 40 EUR per dog! If your dog has a Pet Passport and is legally good to travel there are two main options to take your dog from the UK to France: Eurotunnel or ferry crossing. Both are approved routes under the PETS Travel Scheme. We live just south of Manchester and always choose to go from Dover / Folkestone to Calais or Dunquerke because these routes have the shortest crossing times. You can also fly your dog as Pet Cargo from London Heathrow, London Gatwick and Manchester Airports, an eye wateringly expensive option (think £1600 return London – Venice) which we won’t go into here but we will post soon on our experiences of Flying with Dogs. Eurotunnel (www.eurotunnel.com) is the route that we prefer from a personal perspective because we can stay with the dogs throughout the crossing and it’s quick – just 30 minutes from Folkestone to Calais. In case of any confusion, Eurotunnel is the train that cars are driven onto to cross the Channel from Folkestone to Calais and is not the same as Eurostar which goes from London St Pancras to Paris Gare Du Nord and has a no dogs allowed policy. Dogs should be booked onto the Eurotunnel ticket when you make your original Eurotunnel booking a maximum of four dogs per car are allowed. On our last trip we paid a fee of £18 per dog each way i.e. £36.00 return. Leaving the UK, the check-in process when travelling with a dog is just the same as if you do not have a dog – just drive to the automated check-in booths and follow the instructions. You will need to confirm when asked that you have dog(s) on board and that’s it! Very straightforward. Coming back into the UK, check-in is still very simple but with one additional step. Before check-in at Eurotunnel in Calais you must take your dog to the dedicated Pet Reception where your dog will be scanned and his/her Pet Pasport checked before you proceed to check-in as normal. The Pet Reception is easy to find – on the right-hand side of the approach to the check-in booths with clear signs showing the way. Allow more time for check-in when returning to the UK - Eurotunnel advise a minimum of 45 mins. Whether going out or coming back, once you have checked-in, you drive your car as usual to the Departures Area and wait for your train to be called before driving onto the train. There is a small, fenced pet exercise area at the Departures Area and you can walk your dog around the car park. Dogs are not allowed into the terminal building where the coffee shops and duty free shops are located. Theo says he finds Eurotunnel a very comfortable way to travel! Once on the Eurotunnel train, dogs must stay in the car at all times but, unlike on the ferry (see below), you can also stay with your dog in the car. The fact that the Eurotunnel is a fast service and our dogs are not left on their own at any time makes this our preferred option for leaving the UK with our gang. Dogs can travel on the main ferry crossings across the Channel (Dover & Folkestone to Calais & Dunquerke), whether you are booked on with a car or as a foot passenger. The information here is based on our experience of crossing between Dover – Calais, with our car as we have never tried taking them on as foot passengers. Our understanding is that a dog taken on board by a foot passenger does not travel with its owner on the passenger deck, but is transported on the car deck in a special holding area. Dogs should be booked in advance when you book the ferry ticket and again the maximum allowed is four dogs per car. When we went to Méribel in March, DFDS Seaways (www.dfdsseaways.co.uk) and P&O Ferries (www.poferries.com) both charged £15 per dog each way i.e. £30 return for each dog which is slightly less than Eurotunnel (£18 each way). The crossing time for Dover - Calais is 90 minutes, Dover to Dunqureke is 2 hours. The check-in process with dogs travelling on the ferry is the same both ways - just drive straight to the check-in booths, no need to get of the car either way. On the way out all you need to do is declare that you have dogs as there are no mandatory checks. On the way back in you will be asked to present your dog's Pet Passport and asked to scan their microchip but this can all be done from inside your car. Once they give you the all clear, you proceed with your car as normal and join the ferry queue to board. All very easy! This is worth noting … once on board the ferry, all dogs have to stay in the car while you have to go up to the passenger deck. Dogs are not allowed on the passenger deck unless they are a registered assistance dog. You are not allowed to go to the car deck to check on them even if the crossing is delayed and you are stuck on the water for hours. Our gang travel in a giant crate on the back seat of our car as leaving four Italian Greyhounds loose in a moving car is a potential recipe for disaster. On the ferry the gang stay in their crate, with a water bowl so they have fresh water at all times, and we leave the car windows open and deactivate the car alarm as the rocking motion of the ferry can trigger the alarm. Because the dogs have to stay on their own in the car, and we are not able to check on them during the crossing, we personally prefer to travel on Eurotunnel, particularly in warm weather. Our preference is to use the ferrys only in cool or mild weather as we are too concerned about the temperature of the car in warmer weather. The car may be parked in shade on the car deck but the temperature inside a stationary car that has been travelling in hot weather can rocket significantly once the air conditioning is turned off. Hence we prefer Eurotunnel as we are with the dogs at all times. Believe it or not it’s really easy to find dog-friendly accommodation both in the UK and abroad! When we travel overseas with the dogs we book our hotels in advance for every planned stopover to avoid any potential traumas while we're away. We always use the major travel portals to search for dog friendly hotels as they usually allow you to search for hotels in a city and then filter the results by facilities offered by the hotel, including a ‘Pet Friendly’ or ‘Pets Allowed’ option. www.booking.com, www.expedia.co.uk, www.hotels.com and www.lastminute.com all have a pet friendly filter – plus they usually have some very good discounted deals on a huge selection of hotels from bargain basement to lush and decadent. While booking the hotels for our trip to Méribel we discovered that some of the French hotels even allow dogs to stay with no additional charges which is fab, especially when travelling with four dogs! Charges for dogs to stay vary from free to around 25 Euros per night per dog. Our ski trip to Méribel was organised at the last minute so we had limited options in terms of accommodation. We couldn’t find a hotel in our price range so we looked for an apartment through the huge French holiday company Pierre et Vacances (www.pierreetvacances.com) who have zillions of hotels and apartments all over Europe, many of which are dog friendly. Erna Low (www.ernalow.co.uk) also book packages including transport by cross-Channel ferry or Eurotunnel and pet friendly accommodation. Our experience of travelling in France and Switzerland with the dogs is that restaurants, cafes and most shops, tend to be a lot more dog friendly than in the UK. Our experience is that it's easy to find dog-friendly restaurants in France. Chez Denise in Paris even has their own Bar Dog serving drinks into the small hours of the morning! During our week in Méribel we were turned away from only one restaurant because we had four dogs with us but the would have allowed one or two. Other than that, the dogs were welcome everywhere. They even went up the mountain in the bubble car to have lunch up at 2,500m every day! Our experience of having dogs in Méribel and finding it easy to get around with them is typical of our experience of travelling with dogs in France – even the service stations on the motorways allow dogs inside. However, if we were planning a holiday that involved lots of museums and galleries and other ticketed attractions, things would be different as those types of visitor attractions are likely to have a no dogs policy. The Palace of Versaille doesn’t want dogs wandering around and lifting their legs on the furniture! This is worth bearing in mind when planning your holiday as sensible arrangements would need to be made for your dog if you want to go off for a few hours to do something that is not dog friendly. Most dog-friendly hotels do not allow you to leave your dog unaccompanied in the hotel – many dogs might find being left alone in a strange hotel room rather upsetting. Leaving your dog in the car for prolonged periods of time is inadvisable and definitely not an option in warm weather. We always search for vets in the towns/cities that we are planning on stopping at. We print the vet’s name, address, phone number and email and carry it with us at all times. Make sure your dog’s microchip is registered with PetLog (www.petlog.co.uk) with up to date contact details. 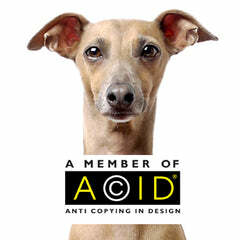 All of our dogs’ ID tags show our contact phone numbers with the UK dialling code i.e. +44 (0)161 848 8702, not just 0161 848 8702 and we put our full address on the tag including United Kingdom at the end of our address. Just like when at home in unfamiliar places, common sense needs to apply when abroad with your dog in a new place. We never allow our dogs off lead unless we are absolutely certain that it's safe to let them go. We write a packing list for our dogs - it's an essay in its own right. Our monkeys have more luggage than we do! Beds and blankets, food for the whole holiday, treats, bowls, washing up liquid, dog first aid kit, travel sick pills, tummy settlers, toys, coats, pooh bags, nail clippers, toothbrushes … the list goes on!